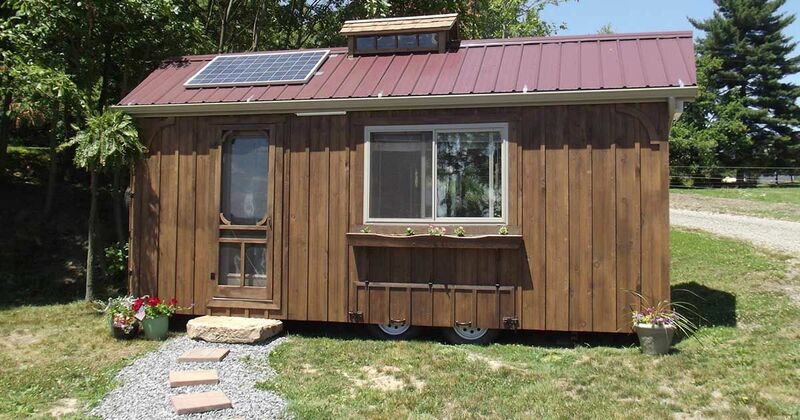 The family-owned building company Whistling Pine Homes is proudly joining the tiny homes movement with their new business "Tiny Houses of Ohio." On their Facebook page, they display this micro-shelter that is described as "Amish-crafted," as well as "fully self-sufficient." 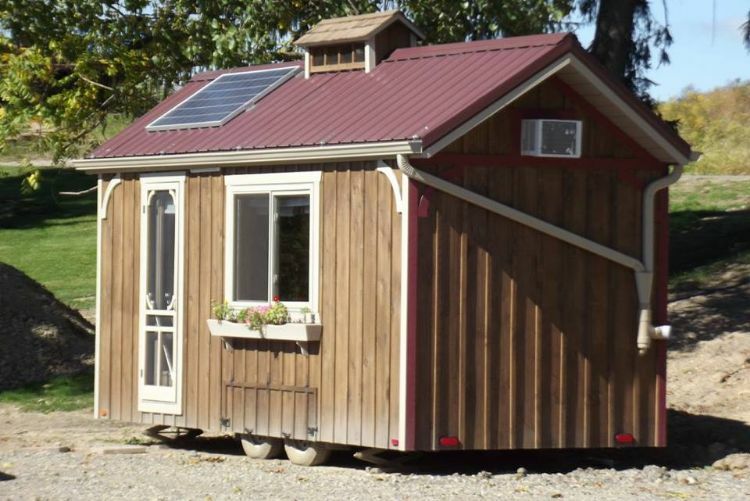 Is this a stylish tiny home? In a modern sense, perhaps not. It has a distinctly utilitarian purpose and a barn-like look. 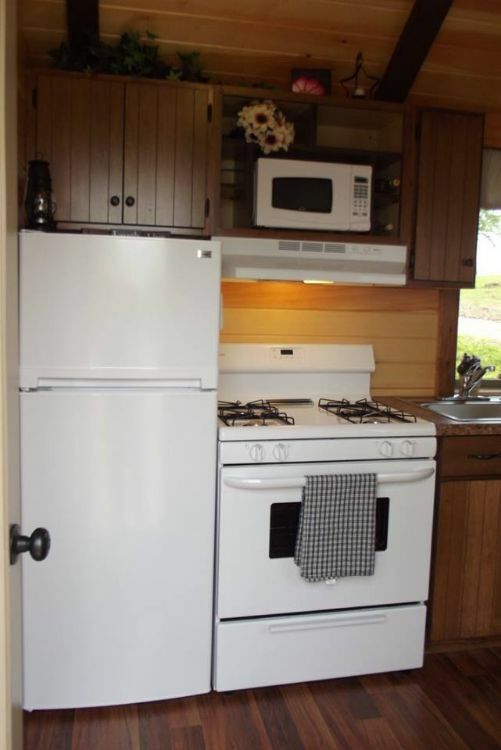 But for someone who isn't seeking a lavish, over-the-top lifestyle, this gem has everything you need to survive off grid, including a roof-top solar panel, propane heating and a rain collection system that allows the owner to park this baby in a remote location. Let's have a look at some of the features up close. 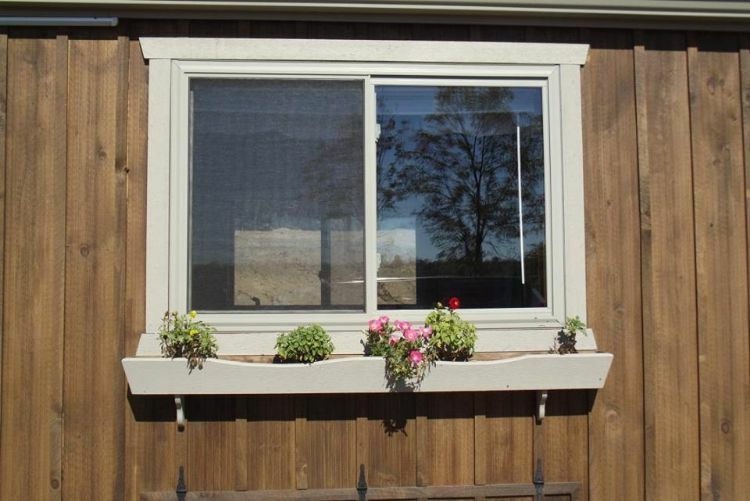 The down-home look begins with unpainted clapboard sheathing and white trim, including this window with a cute flower box. 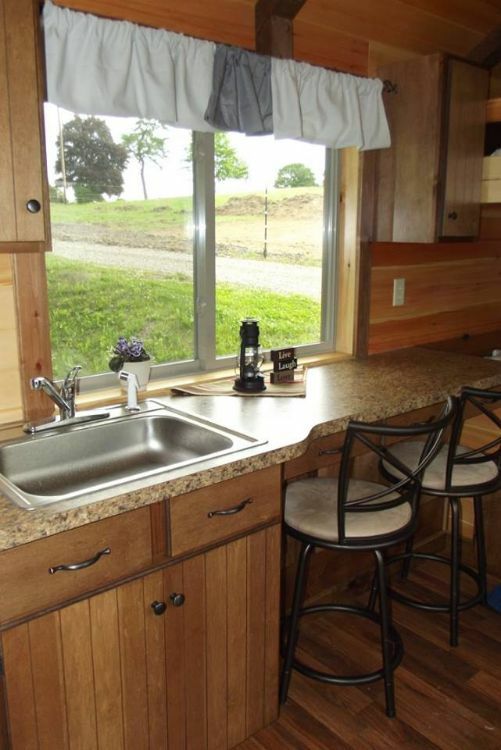 This shot shows you some of the highlights of this tiny house, which are all about function, rather than looks. No. 1 is the solar panel, which is there for obvious reasons. No. 2 is the barn-like copula, which could be said to be the Amish version of a skylight, but one that goes skylights one better, since this one has the added benefit of providing ventilation. No. 3 is the rain collection system. Most tiny homes don't even have rain gutters, let alone a system that sends rainwater back into the house. This one does. 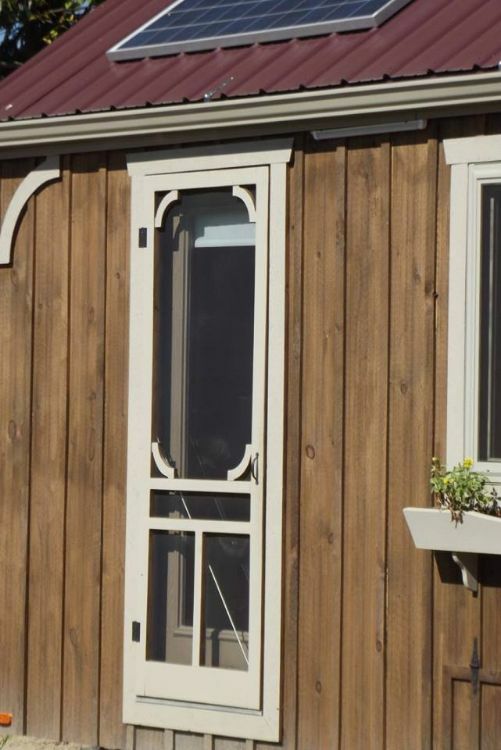 After reviewing untold numbers of tiny homes, this Amish-crafted tiny home is the first one reviewed by this writer with a screen door. This shot gives you an almost complete impression of the interior. 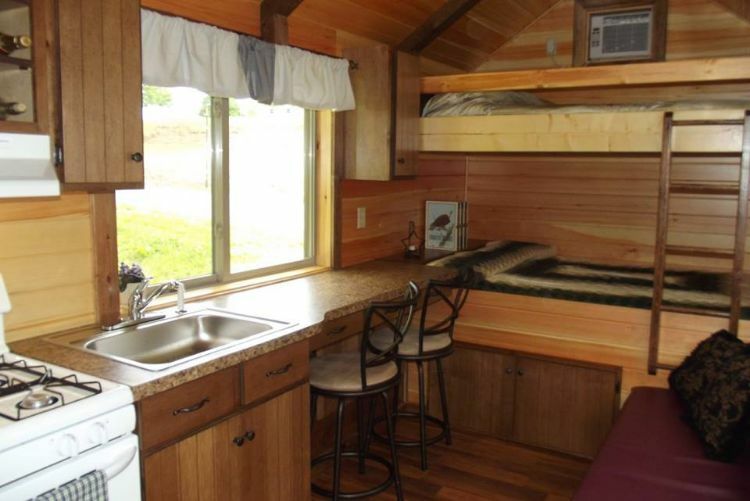 There is no sleeping loft in this tiny home. Instead, it features this bunk bed arrangement in the living room area. 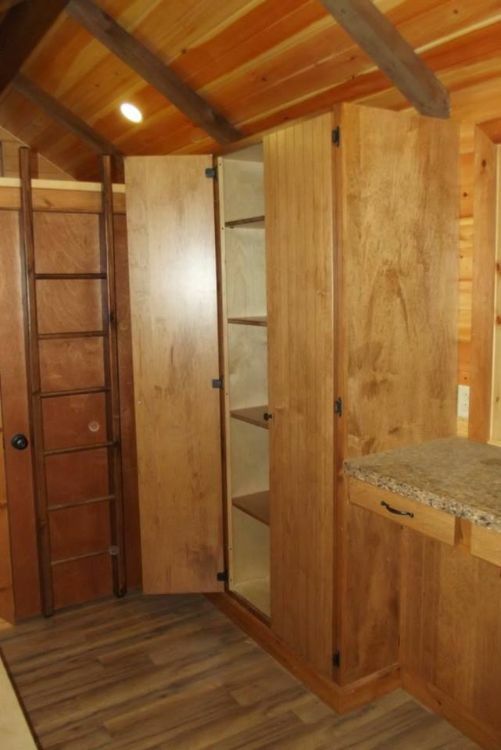 Actually, what sets this tiny home apart from any other is precisely hiding under the bed. 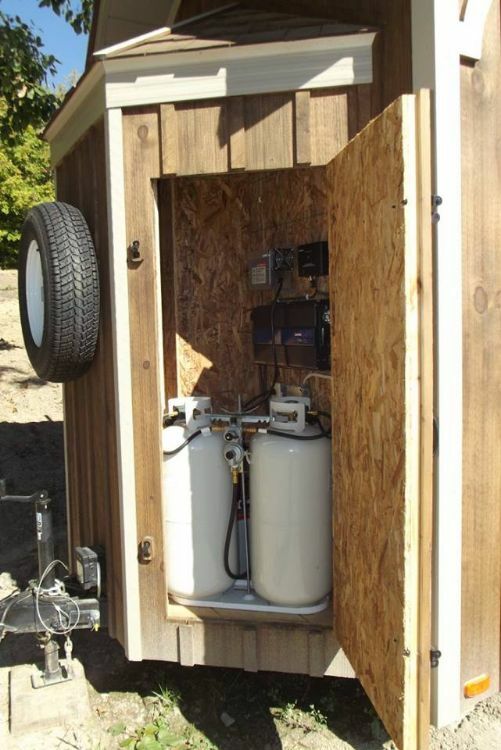 Its water tank is large enough to provide the home with water for long periods of time. 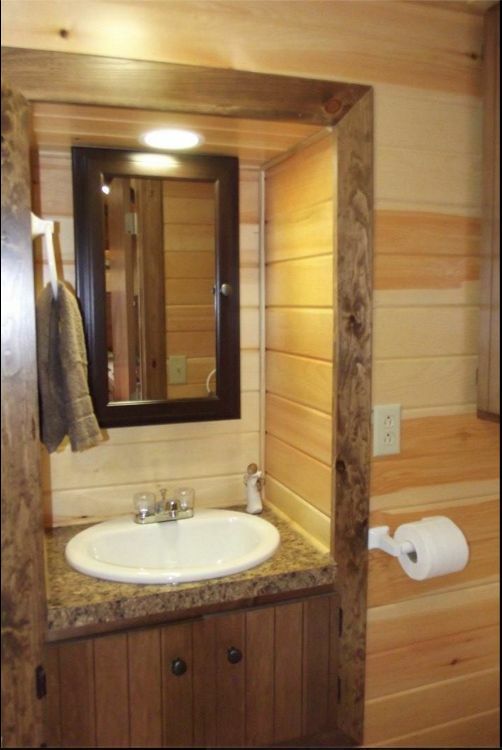 The Yoder family themselves tested it by taking showers in the tiny house's shower every day during the summer. Not even once did they have to refill the tank. A closer look at the breakfast counter. 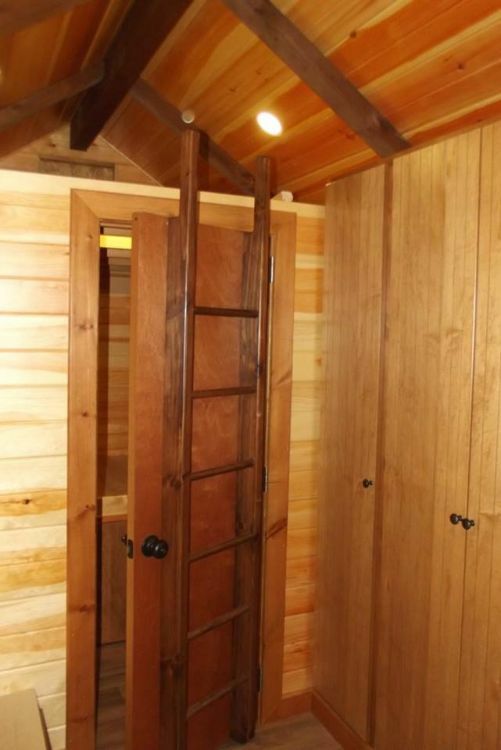 Here's another rare find for a tiny house: A bathroom door on hinges that swings out into the middle of the room. Most tiny homes go with sliding doors that do not require space in the room to function. 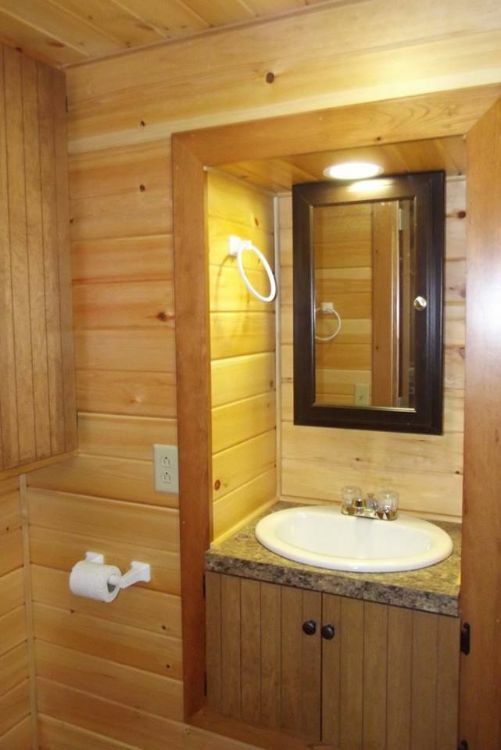 The bathroom features a shower and a sink and plenty of storage. Here's another novelty: A ladder attached to the door. 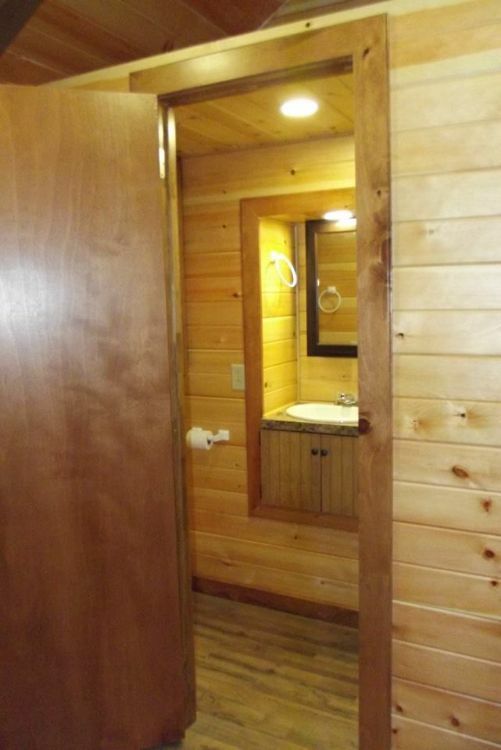 Just make sure you don't come barging out of the bathroom while someone is trying to reach that storage loft above it. And right next to that door is a large closet. Not many tiny homes have those, either. 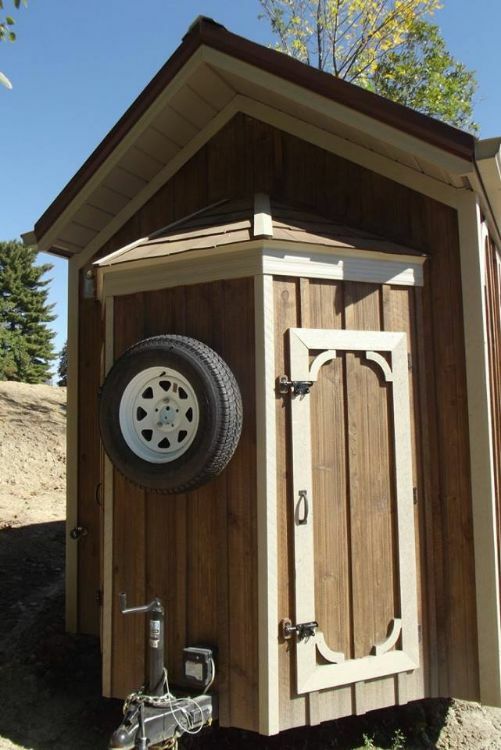 Another feature of functionality: An outdoor storage space. This one is taken up by propane tanks, in view in the next shot. So, this wasn't a tour through the world's most cosmopolitan micro-shelter, but this tiny home still has everything you need and then some.